- Medical and Administrative assistance 24 / 7. - Reception of the patient at the hospital door and its subsequent inclusion in the intended services. - Patient orientation within the health unit. 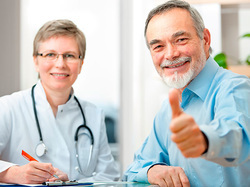 - Translation in several languages amongst physicians and health professionals. - Administrative management of all formalities with insurance companies. - Report on the patient's situation to family and / or the responsible entities. - Ability to provide transport (taxi, ambulance). - We have Medical Service at your home or hotel, with exceptional medical service on your native language. From: G........................ [mailto:...........@gmail.com] Sent: sexta-feira, 8 de Maio de 2015 16:15 To: BH Lisboa Subject: Re: Medical report. What a pleasure it was for us to meet you yesterday! You did a really great job. We were very impressed with everything that took place yesterday.Well done to you and the Doctors! As you know I am in the Medical profession myself so it is not easy to please me, but I was very happy. Thank you. Thank you again for the reports and all of your assistance. We are very happy in the way you have cared for Mr & Mrs B…..